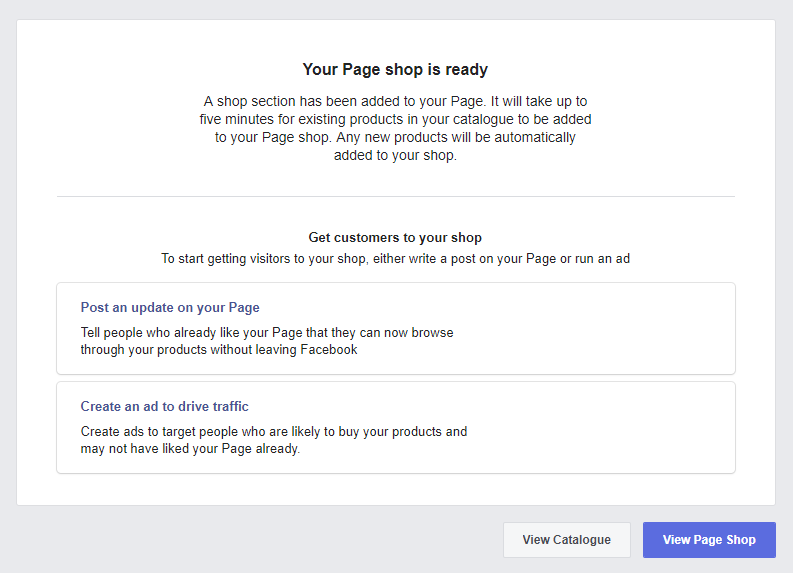 After you have created your Facebook business page, FB Business manager account and generated your Data Product Feed with Facebook Business Addon, you can add your Products to your Catalogue and create your Facebook page Shop. Click "Done". You will be redirected to the "Diagnostics" page again. 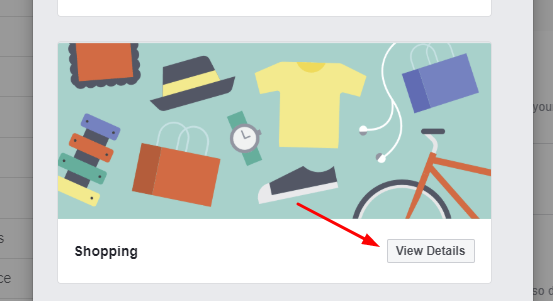 Now you have this green tick in the "Add your products" section and the "Add Products" button is disabled. That means, that you have done everything correctly. 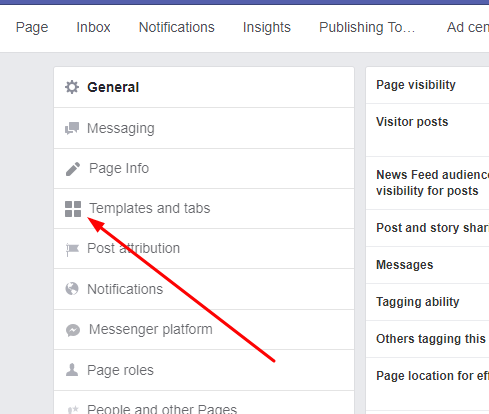 There are several templates, which you can apply to your Page. You need to choose "Shopping". 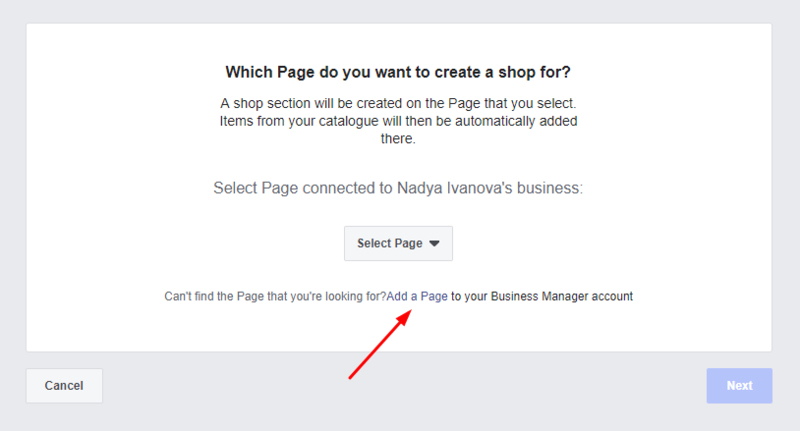 Now, you can see, that the "Shop" section is enabled on your Page. 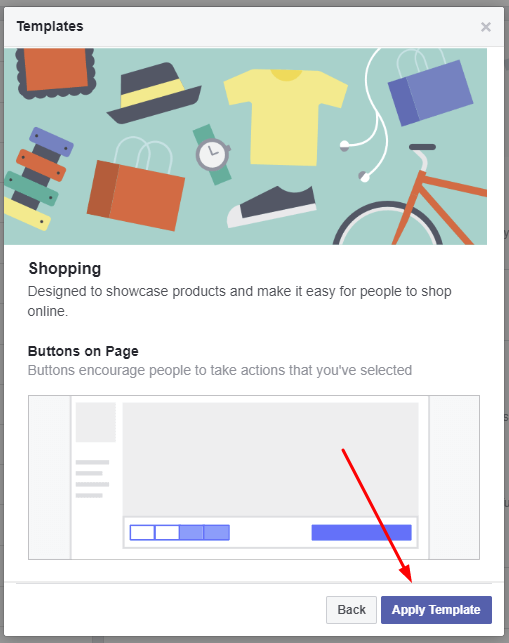 By clicking "Select Page" you are supposed to see your Page. 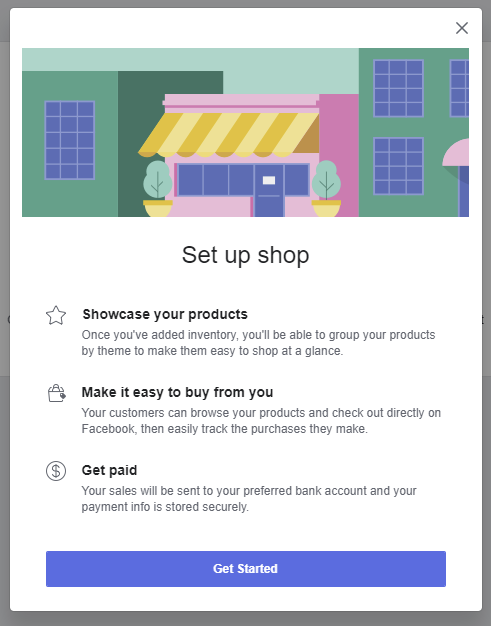 Select it, click "Next" and go to the "Set up shop" right away (just skip these 5 screenshots below and continue your setup). 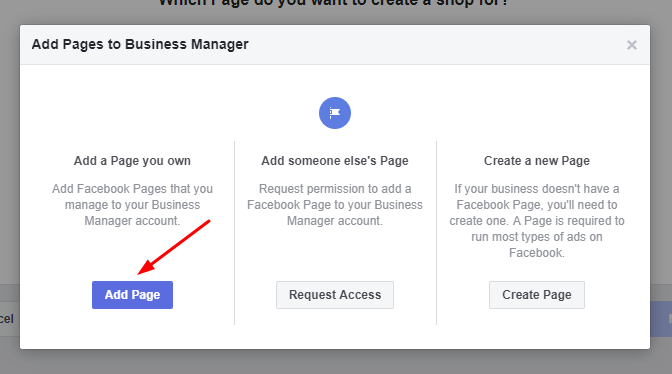 You need to Add your Page to your Business Manager account now. 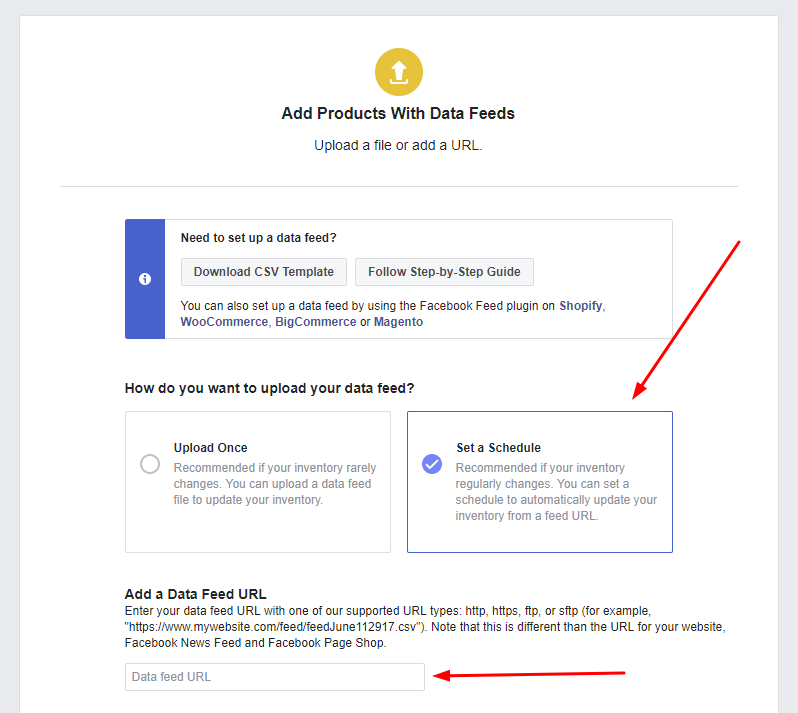 Click "Add a Page". 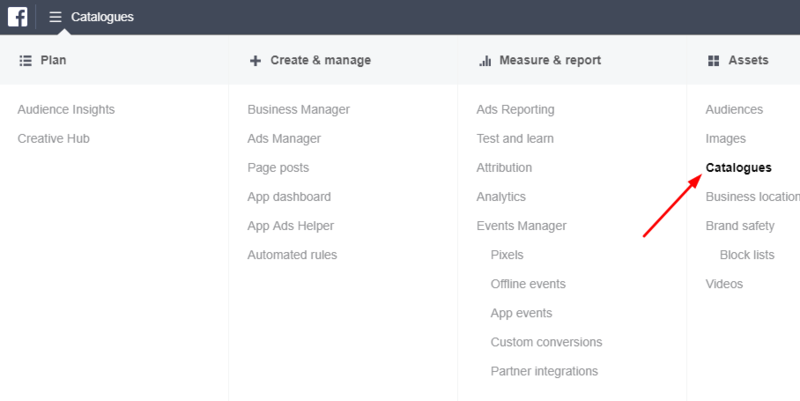 As you can see, you can get a list of your pages by clicking Select Page. 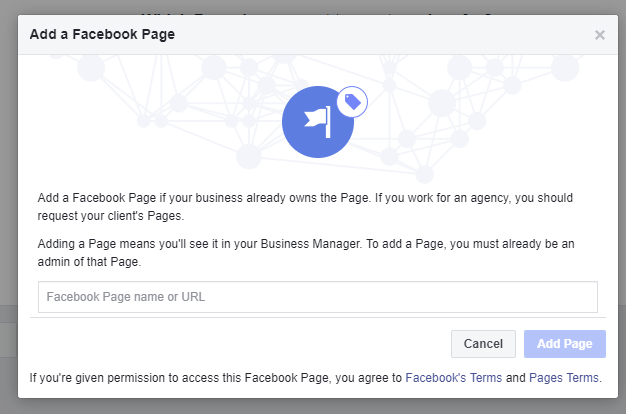 Select your Page and click "Next". 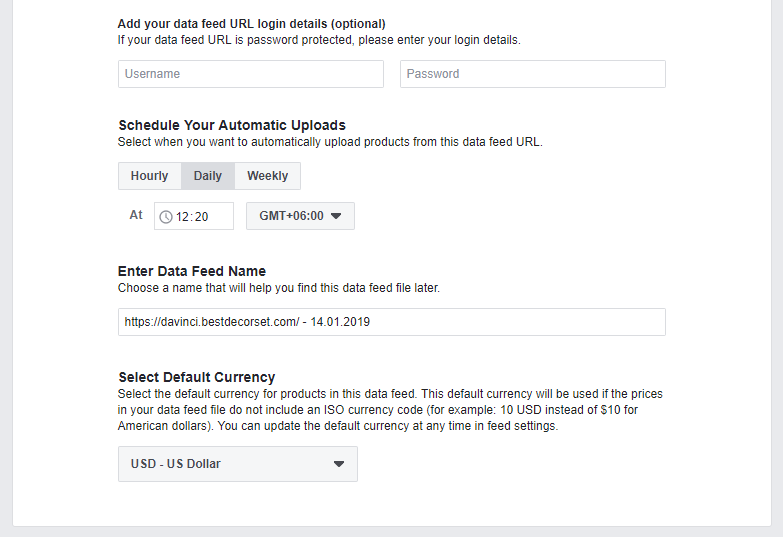 Now, you are going to enter your payment and tax data. 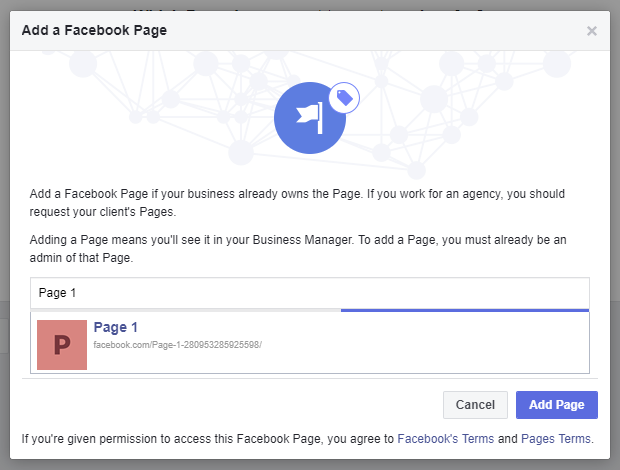 Click "Get Started" to continue. 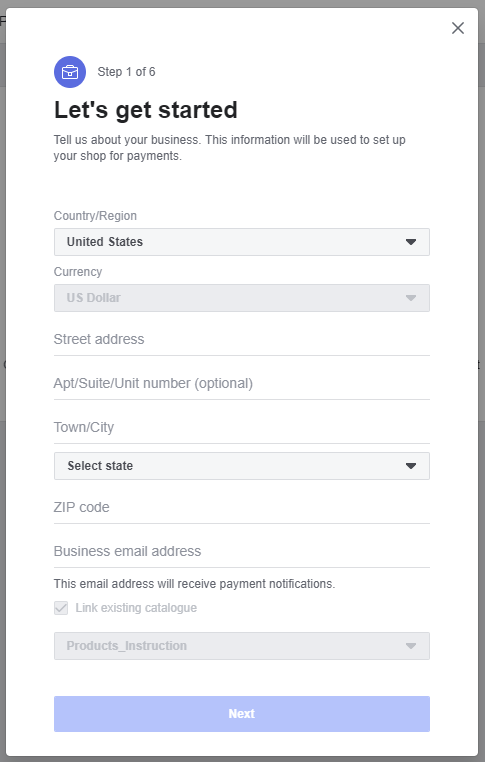 You have to complete all of these 6 steps by entering your payment and tax information in order to set up your shop. 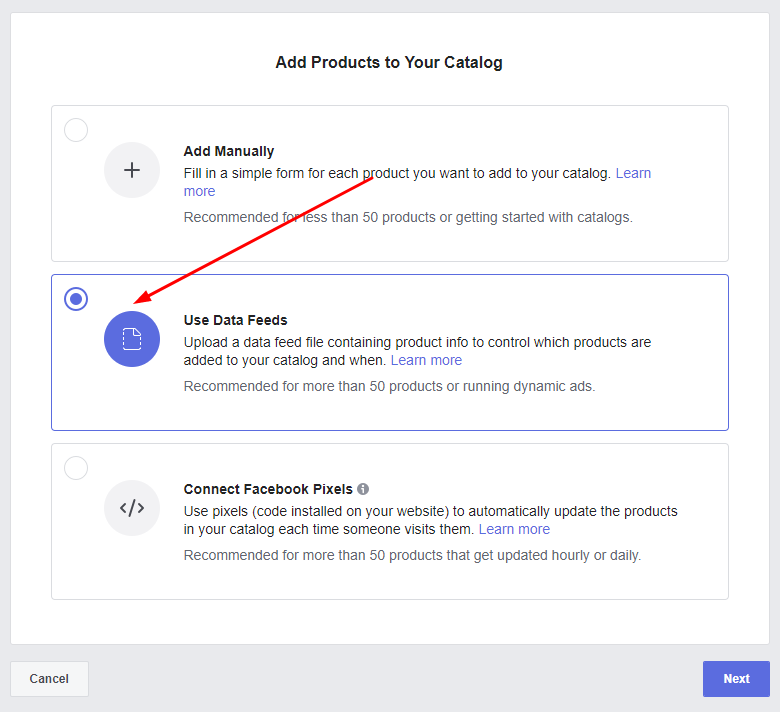 The Catalogue "Product_Instruction" is the one which we have created during the steps of this guide. 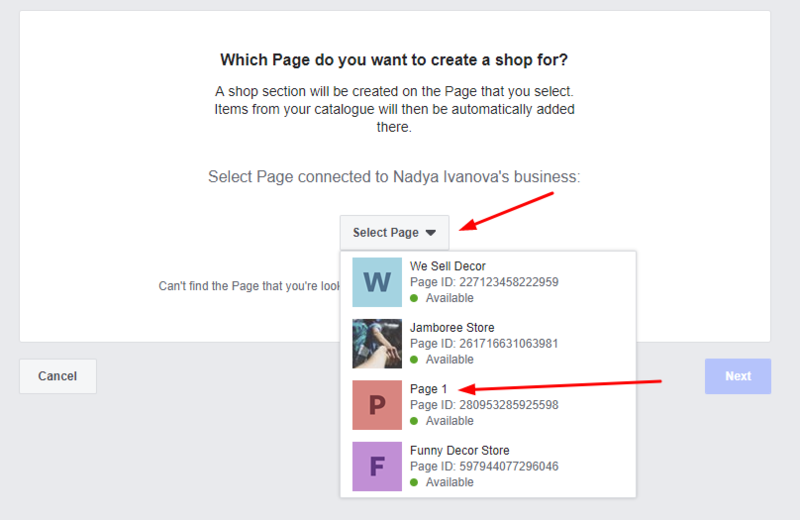 But there is another Catalogue "Products for Page 1", which was created automatically. 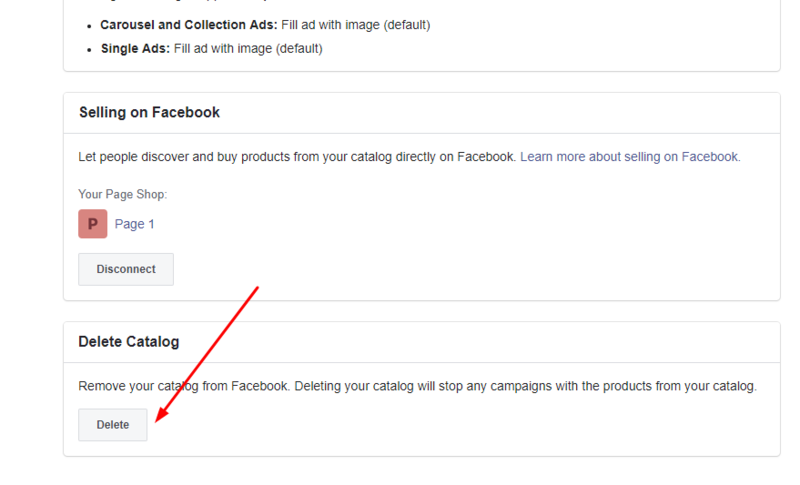 Go to this catalogue and delete it. 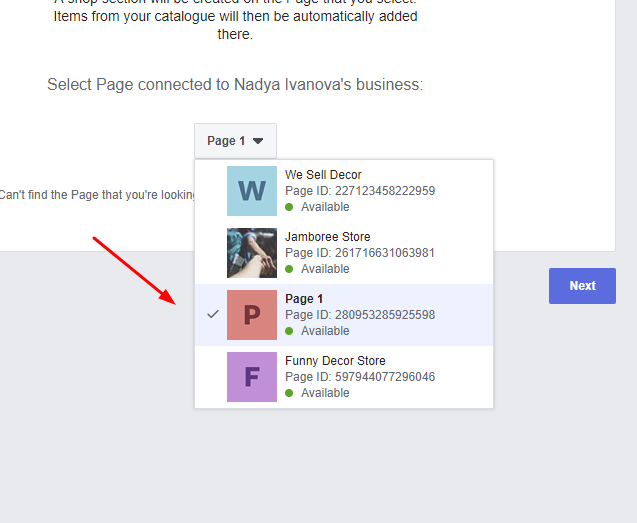 Now you can finally connect your Catalogue to your Shop. 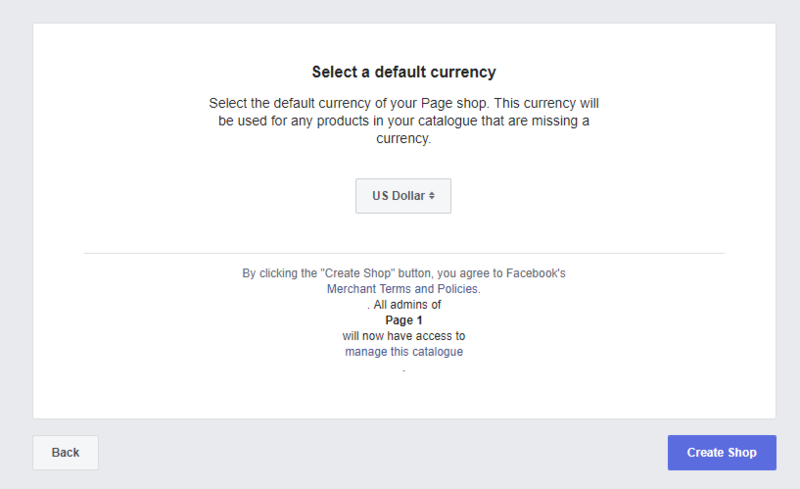 Go to Catalogues and click "Create a shop on your page"
Choose your Page and click "Next"
Select a default currency and click "Create Shop"
Your Page shop is ready along with its products. 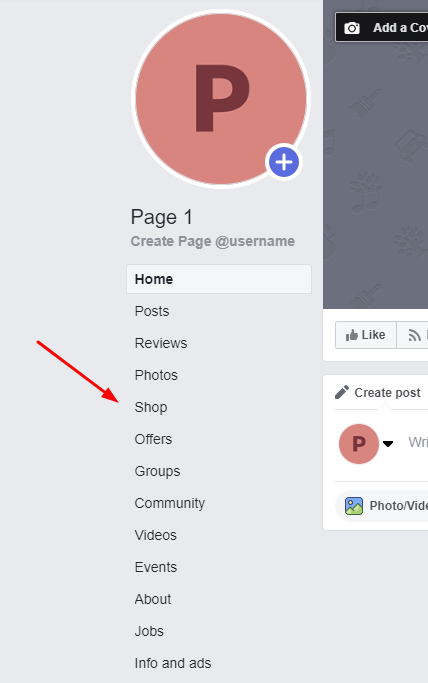 You can view it by pressing "View Page Shop"
After you Facebook Page shop is ready, you can connect the relevant Catalogue to your Instagram. All you need to do is to follow this instruction.